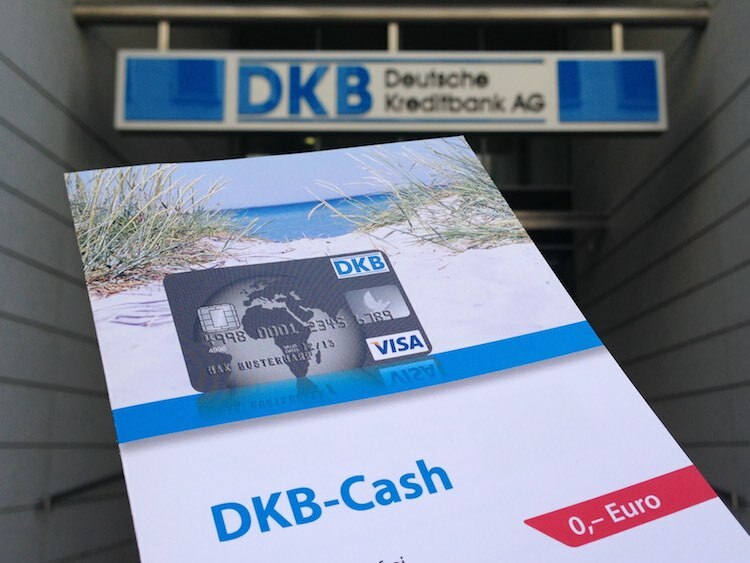 Free German Bank Account 2019 at DKB, Comdirect, ING or N26 bank? Free German Bank Account 2019 | DKB, Comdirect, ING or N26 Bank with Credit Card? You need a German bank account to receive your loan, salary or pay your rent or energy bills. Criteria of a free bank account are: no basic fee, no transaction fees, a bank card (girocard) and credit card for free, and withdraw money at AMTs at no charge in Germany and abroad. Free German bank accounts are possible at direct banks DKB, Comdirect Bank, ING-DiBa or N26 Bank. For new customers there is a bonus possible of up to 200 Euros. Are you planning to move to Germany or have you recently relocated and need to set up a new bank account? Or do you pay any fees for you bank account if you already have one? If you are interested in a free German bank account (“Kostenloses deutsches Bankkonto”) respectively a free checking account, a free bank giro account, or a free current account; All you have to do is apply online. Yeah! as simple as that. You don’t have to go to a savings bank branch such as the Sparkasse or a traditional bank like the Commerzbank or Deutsche Bank – Which by the way, do not offer bank accounts with a credit card free of charge! Opening a German bank account is very easy and it takes only 10 minutes – if you do it online! And we will go over the steps in this article. But, before we begin the first thing you should know is that the German translation of bank account is “Girokonto“, “Bankkonto” or just “Konto”. And the German word “Kreditkarte” is used for a credit card. 2 Any recommendations or experience with ING-DiBa, DKB, N26 or Comdirect Bank? 3 Can I have full banking services at Direct Banks in Germany? 4 How to open a bank account at DKB, Comdirect or ING-DiBa? I guess that your new free bank account shall include a free credit card as well? If you compare bank accounts from the banks mentioned above, we can see there are 3 banks that actually offer hassle-free bank account across Germany, which include a credit card with no fee as well. These 3 direct banks are DKB (Deutsche Kreditbank AG), Comdirect Bank (a fully-owned subsidiary of the well-known German Commerzbank AG) and the ING-DiBa (a fully-owned subsidiary of the well-known international Dutch bank ING Group). In addition, if your German is not very fluent yet, these banks have customer service (Hotline) in English. Look at the most important features of these bank accounts – One of them is that you can apply directly from the comfort of your sofa. Alternatively to the tree biggest direct banks in Germany, you can have a look at N26 bank which also offers a free bank account with MasterCard credit card. The N26 bank account is optimized for banking through your smartphone. The number of N26 customers is constantly growing and has reached recently around 1m all over Europe. Compared to Comdirect, ING-DiBa and DKB, the biggest advantage of N26 bank for non-speaking German customers is that you can change all interfaces to English. At the moment, you can manage the N26 bank account in English, German, French, Spanish or Italian. With the N26 MasterCard you can withdraw cash in EURO currency from an ATM for free up to five times per month. In addition, you can withdraw Euros directly from cash points in stores, grocery stores or drug stores with your app and the function CASH26. Through the N26 App, it is possible to set permissions and limits to your card or unblock your MasterCard. N26 bank sends you real-time push notifications about all activities you do with your N26 accounts such as direct debits or ATM withdrawals. Through N26 App you have access to much more banking related services such as credit/loan, overdraft, insurance, investing and savings. 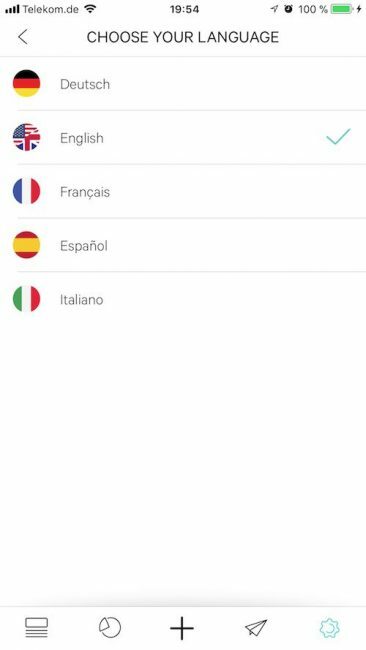 Hint: after you have clicked “open N26 bank account”, you can change the language to English! Any recommendations or experience with ING-DiBa, DKB, N26 or Comdirect Bank? I can absolutely recommend you any of these three top banks as I am a happy customer of each of them. I talk from my experience, for instance: my main bank account with Visa credit card and my active online brokerage for trading stocks worldwide at low costs is with the Comdirect, and so far it has been great. The DKB-Cash account is the join account my wife and me share for common spendings such as paying rent or grocery shopping. The ING-DiBa account is my backup bank account with free Visa card, and where I save my money with an ETF savings plan. The N26 account I use it off and on in order to get to know their services better. As you can see, It is possible to open and have all three bank accounts for different purposes. They also offer joint account or omnibus account, which are bank accounts for couples. There is no account fee and you will get an extra package of girocard and credit card for free. Within the last years, all three direct banks have seen a huge rising number of new customers. Nowadays, ING-DiBa, DKB and Comdirect bank are the three biggest direct banks in Germany. What is your personal experience with these bank accounts? Just leave a comment on this article! Can I have full banking services at Direct Banks in Germany? All three banks (DKB, Comdirect and ING-DiBa) are direct banks without branches that offer flexible and secure online banking from the comfort of your home or on the go. On top of these great services and advantages, you might receive a welcoming bonus that will go directly into your new bank account (this is an offer from Comdirect, valid for new clients only). The direct bank doesn’t mean just checking account. In addition to the standard bank account, you are able to choose from a wide range of additional banking products such as savings accounts, online brokerage or installments. For example, at DKB, ING-DiBa and Comdirect Bank, you have to the possibility to open an additional account for online brokerage for free! Through this custody account, you are able to buy and sell securities such as stock, equity funds, ETFs (exchange-traded funds) or structured products like options or certificates and warrants at low costs. Or you can also do it in another way: just compare the best providers for online brokerage and open the bank account later. If you do this way I recommend you to have a look at Comdirect, ING-DiBa and Consorsbank as some providers doesn’t offer a bank account but only a custody account for trading. The most attractive feature of these banks is that money withdrawals with Visa Card have no fees all year long! In detail: with the DKB-Cash Bank Account and its DKB Visa Card you are able to get cash worldwide with no fees at all at the Visa-ATMs. The Comdirect Bank account offers a Visa Debit Card with no fees outside Germany and with the ING-DiBa Bank Account and its Visa Debit Card there are no fees in Countries within The European Union (Countries with currency “Euro”). How to open a bank account at DKB, Comdirect or ING-DiBa? The process of opening a bank account in Germany is very straightforward and it is needed whenever you start a new job or plan to live in Germany. Please keep in mind that you should have a valid official document that shows your current residence/place in Germany (you can get an “Einwohnermeldeamt” or “Bürgeramt”). The minimum age for opening a German bank account by your own is 18. Once you have compared the services that DKB, Comdirect, ING-DiBa or N26 Bank can offer you and have the official identification documents, you can open an online German bank account with the bank of your choice. Of course, you are able to open a bank account in every branch of Deutsche Bank, Commerzbank, Sparda Bank, Targobank, HypoVereinsbank or Sparkasse (savings bank) in person. Are you serious? Do you want to do this in 2018? No one needs the branches of banks, either for opening a bank account nor for doing modern online banking through your smartphone, tablet, laptop or pc afterwards! In addition, usually, you will be charged for having a bank account at these banks, especially when you want to have a credit card (MasterCard or Visa) as well. Please keep in mind that you should have a German citizenship or a permanent residence card in order to open a bank account in any of these three banks. And the newcomers should be registered at the Resident Registration Office (Einwohnermeldeamt or Bürgeramt) before opening an account! The bank wants to see your official physical address! During the account opening online you will be asked to open the bank account either by VideoIdent or PostIdent. I really recommend using VideoIdent. Everything you need is your device (smartphone, pc, laptop, tablet), a webcam and your valid passport. As soon as you have finished filling out all necessary personal information, you will be connected to an online assistant from the bank. He will ask you several questions an let show you your ID or passport in front of the camera. The whole process of opening and Video-Chat will be done in less than 10 minutes. For the VideoIdent process, usually, you don’t have to print out anything or go to post office! Sometimes it is necessary to provide extra information to the bank, such as salary statements / pay stubs. After opening the bank account online and filling out the application form provided by the bank, it is necessary to print it out, attach a copy of a valid ID document and then go to the closest Post Office (Deutsche Post or Postbank) for an address and ID check. This process should not take longer than 5 minutes. After a couple of days, your account will be ready for your day to day banking needs. When you are outside of Germany, the process will take a bit longer. The DKB offers a flexible service with DKB-Cash International especially for those who live abroad. This means that German expatriates and/or newcomers are able to open a German bank account in case of moving or working in another country. After finishing VideoIdent or PostIdent, you have to wait a couple of days. The bank will send you all information, access data, credit card and debit card to your official address by mail. ← Santander 123 Giro | Wirklich kostenloses Girokonto mit Visa-Kreditkarte und 108 € Bonusprogramm der Santander Bank?